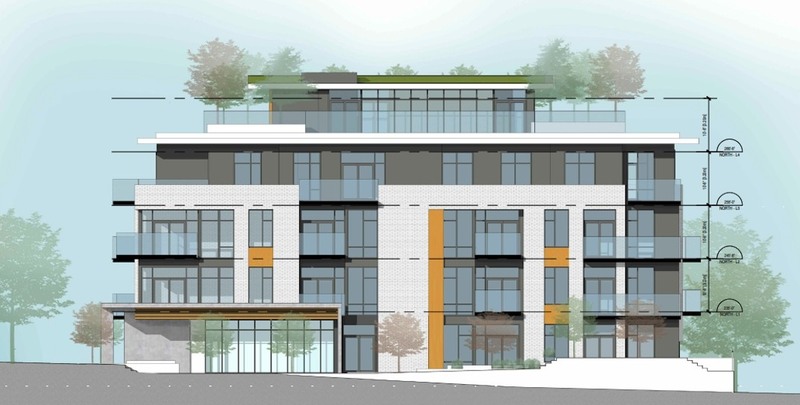 The large cluster of low-rise residential buildings fanning out in all directions from the Canada Line’s King Edward Station continues to grow in size with this latest proposal for a four-storey residential building and a 2.5-storey townhouse building annex. 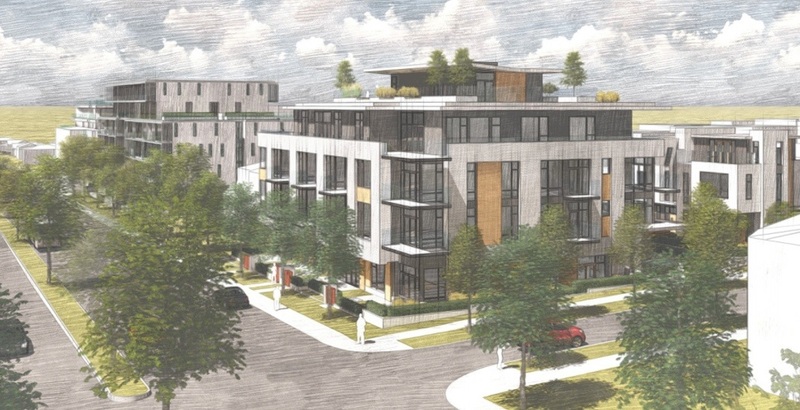 RWA Architecture has submitted a rezoning application to the City of Vancouver for the site at 582-588 West King Edward Avenue — an 18,000-sq-ft site at the southeast corner of the intersection of King Edward Avenue and Ash Street, about one block west of the SkyTrain station. 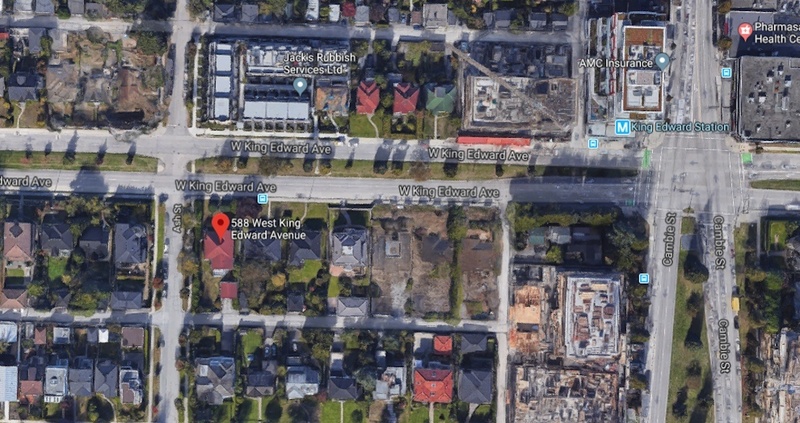 The proposal calls for the replacement of two single-family detached homes with an apartment building containing 31 units and a townhouse building with five units. The unit mix is 11 studio units, 11 one-bedroom units, 10 two-bedroom units, and four three-bedroom units. 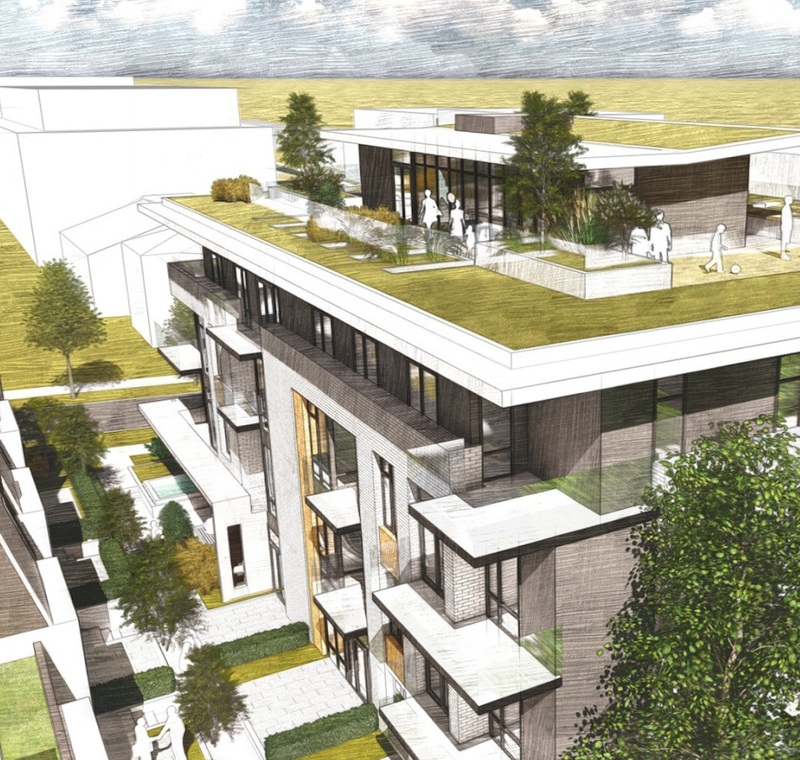 Residents will have access to a large rooftop amenity space. There will be a single underground level with 39 vehicle parking stalls accessed from the laneway. A total floor area of about 35,000 sq. 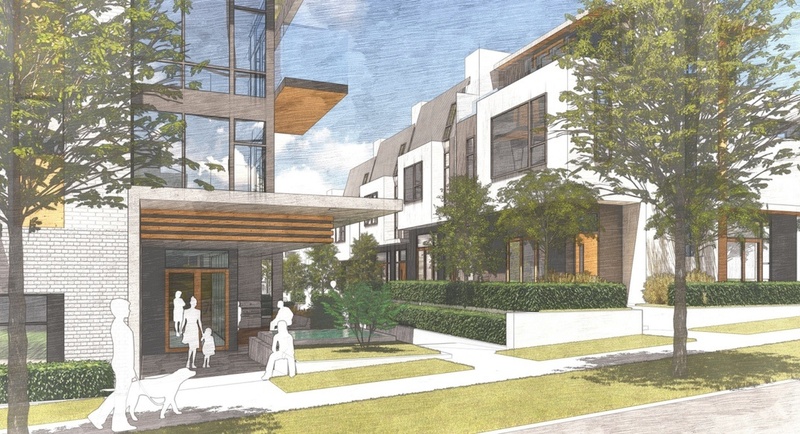 ft. is envisioned, providing the project with a floor space ratio density of 1.95 times the size of its lot. 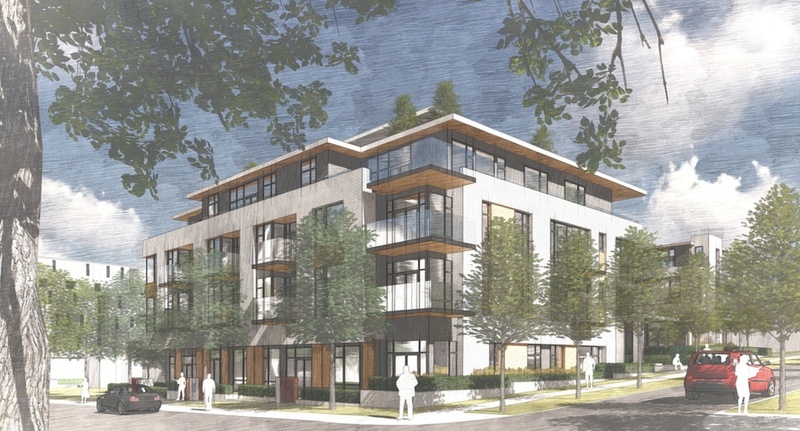 This scope of development is permitted under the municipal government’s Cambie Corridor Plan.